EARLY REGISTRATION ENDS APRIL 22, 2019! LIMITED STUDENT SCHOLARSHIPS AVAILABLE: Click here to apply! Welcome to the Coastal Prairie of Texas! The 2019 North American Prairie Conference will draw some of the brightest minds in prairie conservation, restoration, education, and communications from Texas, the Southeast, and the Midwest. Among this highly distinguished group of prairie/grassland scientists, leaders, and advocates will be Carol Davitt (Missouri Prairie Foundation), Dr. Reed Noss (Southeast Grasslands Initiative), Chris Helzer (The Nature Conservancy in Nebraska), Dr. Kelly Kindscher (Kansas Biological Survey/University of Kansas), Dr. Dwayne Estes (Southeast Grasslands Initiative), and local experts Dr. John Jacob (Texas A&M Agrilife Extension) and Jaime González (The Nature Conservancy in Texas/Coastal Prairie Partnership). Water is life. Nowhere is this more true than on our prairies. Prairie wetlands nourish colorful plants, serve as amphibian nurseries, provide feeding grounds for shorebirds, and quench thirst for countless upland prairies species. They also help staunch floodwaters and purify drinking water. 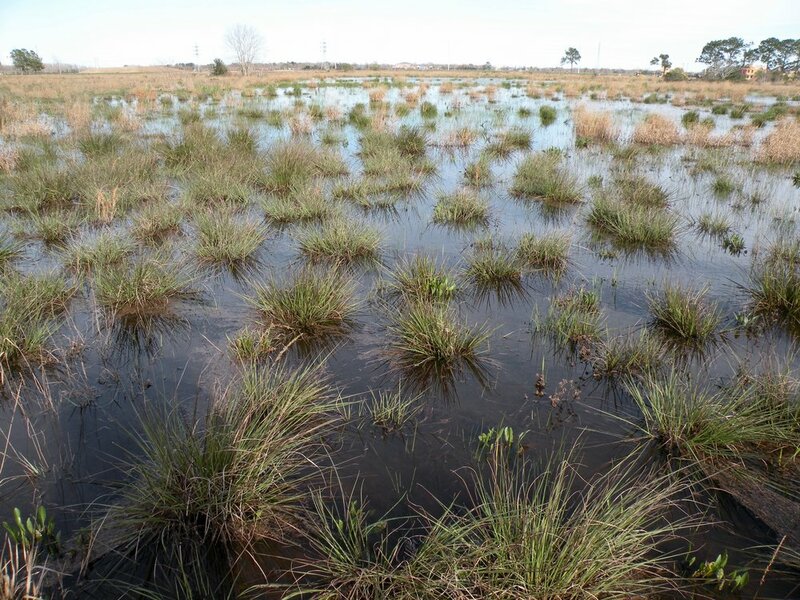 In the wake of Hurricane Harvey’s damage to Houston and coastal Texas, prairies (and their associated wetlands) are in the spotlight for the many benefits they provide. The 2019 North American Prairie Conference will spotlight how prairies can help to create healthy watersheds for people and wildlife. We will host a slate of six field trips designed to ground you in the ecology, history, and culture of southeast Texas prairies. We will feature trips that visit rare coastal prairie remnants, restored prairies, and even trips to urban pocket prairies. Each type of prairie plays a role in the regional prairie movement to conserve biodiversity, protect historic landscapes, and to raise awareness (often times with urbanites) about the importance of these grasslands to Houston's resiliency and quality of life. Click here to go to our field trips page. We here in the Houston conservation community often say that "we are stronger together." This is why we work so diligently to keep ourselves informed about what others are doing to advance the conservation of landscapes and biodiversity in our region and work collaboratively to reach better outcomes. Now we need your help to make our conference even better. Please consider a conference sponsorship. We can be stronger together! Welcome to Houston, the culinary and cultural capital of the South. Houston is also home to a highly diverse suite of habitats, routinely ranked as one of the most biodiverse regions in the United States. This stunning biological variety is matched by human diversity. Houston is the most ethnically diverse metro area in the country. It is also home to the world’s largest medical center, the world famous NASA Johnson Space Center (just 5 minutes from our conference site), and is the energy capital of the United States. The 2019 North American Prairie Conference's homebase will be the fascinating and highly imperiled coastal prairie. Greater Houston is in the midst of a coastal prairie revival, with pristine sites being conserved, prairies being restored, and even urban 'pocket prairies' popping up in the heart of the city. So, welcome to the conference and welcome to Texas!